Attorneys Joshua Weinshank and Abigail Miranda have been named 2018 Super Lawyers Rising Stars. Super Lawyers is a rating service that honors outstanding lawyers from more than 70 practice areas who have attained a high-degree of peer recognition and professional achievement, the website explains. The selection process includes independent research, peer nominations and peer evaluation. “I’m honored to be recognized as a part of the prestigious Super Lawyers group alongside my fellow Connecticut honorees,” Attorney Miranda said. In addition to being announced on the Super Lawyers website, which contains a profile page for Attorney Weinshank and one for Attorney Miranda, the list of 2018 honorees is published in the November issue of Connecticut Magazine. Attorney Weinshank focuses his practice in the areas of Trust and Estate Planning, Elder Law, and Trust and Probate administration. Last fall he oversaw the opening of Cramer & Anderson’s new office in Ridgefield, where he is the Resident Partner. Named a 2017 New Leader in the Law in the Connecticut Law Tribune, Attorney Weinshank advises clients on ways to effectively and efficiently preserve and create intergenerational wealth by addressing their tax and personal concerns. 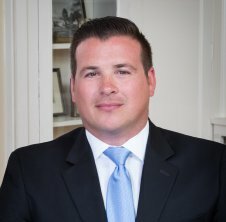 His experience in the area of probate law, and estate and trust administration, has earned him a winning record representing beneficiaries and fiduciaries in contested probate proceedings in the Connecticut Probate Courts. Attorney Weinshank’s community service includes serving on the RVNA’s Finance Committee, being a member of the Board of The Ridgefield Playhouse and serving on the Associate Board of the Danbury Hospital & New Milford Hospital Foundation. 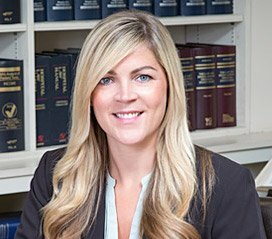 Attorney Miranda, whose practice focuses on Civil Litigation, Family Law and Personal Injury, serves on the Advisory Council of the Women’s Center of Greater Danbury and joined the board of the Greater New Milford Chamber of Commerce in 2017, among other community service efforts. Attorney Weinshank may be reached by phone at (203) 403-4005 and by email at jweinshank@crameranderson.com. Attorney Miranda, who works primarily in the firm’s New Milford office, may be reached at 860-355-2631 or by email at amiranda@crameranderson.com.